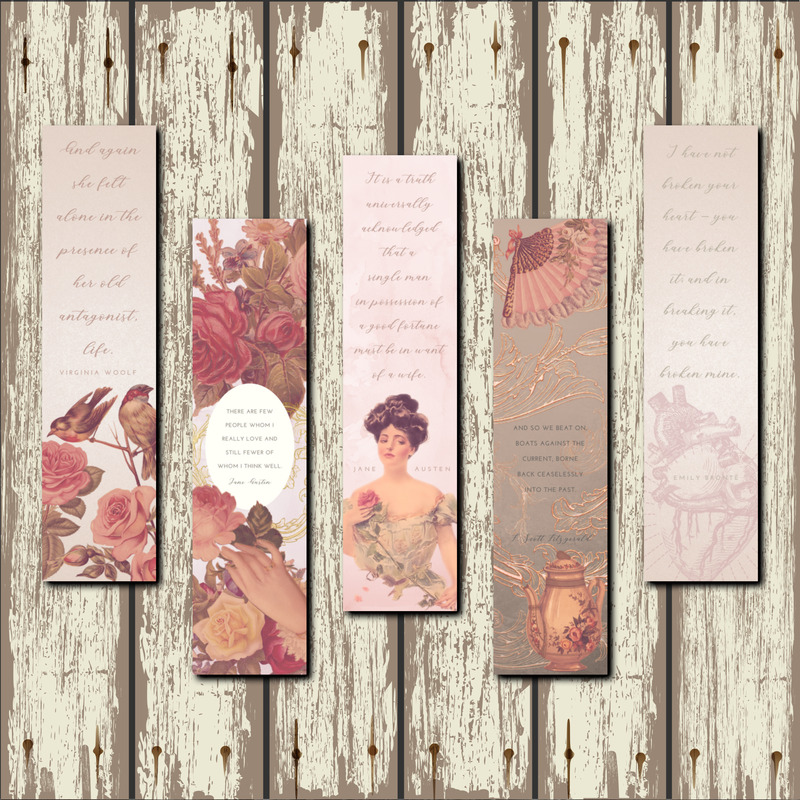 Vintage Feminine Collection | Choose between 5 filigreed, classic-themed bookmarks. Can also be purchased as a collection for $2 in savings. Features quotes from classic authors such as Jane Austen, F. Scott Fitzgerald, Virginia Woolf, & Emily Bronte.